As calls for Ebola "czar" grow, where's the surgeon general? A second case of Ebola confirmed on U.S. soil over the weekend has raised fresh questions in Washington about how prepared the Obama administration is to prevent the virus from spreading at home. One question in particular has been bandied about by Republicans: does the U.S. need an Ebola "czar"? "I would say that we don't know exactly who's in charge. There has to be some kind of czar," said Sen. John McCain, R-Arizona, on CNN Sunday. It's a surprising request for a senator who once said that the Obama administration has "more czars than the Romanovs." But he's not the first to suggest that's the right approach. McCain joined Reps. Jack Kingston of Georgia, Frank Wolf of Virginia and Sens. Jerry Moran of Kansas and Rob Portman of Ohio, all Republicans who have said there needs to be a single point person within the administration responsible for ensuring the deadly virus does not spread in the U.S. The White House has said that Lisa Monaco, President Obama's homeland security adviser, is the "point person" for the interagency response. But one former official, Michael Leavitt, who served as Secretary of Health and Human Services (HHS) under President George W. Bush, said that there's no reason to add an Ebola czar if the current management structure is working. 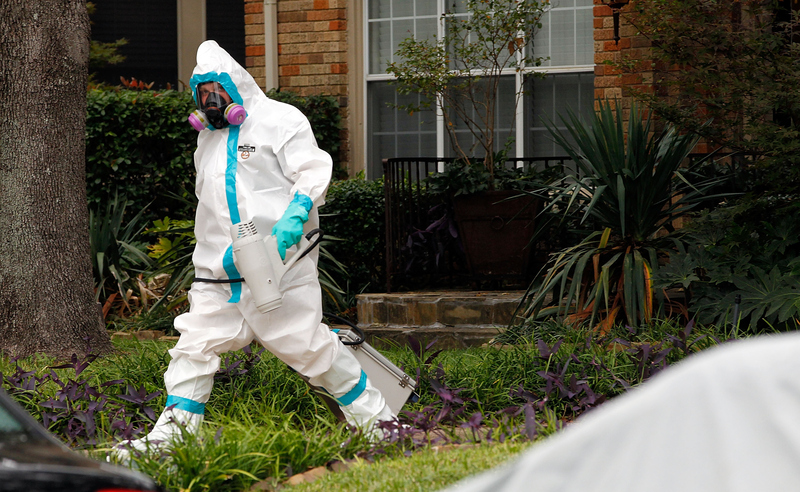 Leavitt explained that agencies spend plenty of time preparing for possible pandemics the same way they prepare for bioterrorism or natural disasters, planning efforts that were heightened in the wake of 9/11. "Until that is demonstrated not to function, then it ought to play out the way it's designed," he told CBS News. Leavitt come to that conclusion despite Moran and Wolf floating his name as someone who could help the administration navigate the crisis. On the other hand, such a position would "raise the political visibility of the response and signal the seriousness with which the White House plans to attack Ebola," Lawrence Gostin, the director of the O'Neill Institute for National and Global Health Law at Georgetown University, told CBS News. But that comes with caveats, Gostin said. He said it would be critical to ensure the directors of the Centers for Disease Control and Prevention (CDC) and National Institutes of Health (NIH) have "considerable authority" to prevent the spread of Ebola as well as rapidly develop vaccines and treatment. Any czar would have to have the authority to coordinate among federal, state and local entities, report directly to the president, and have enough money available to "significantly improve public health preparedness," Gostin said. Such a high-profile public health crisis also highlights the fact that the nation currently finds itself without the "Nation's Doctor," the popular term for the surgeon general. Mr. Obama's nominee for the post, Dr. Vivek Murthy, has fallen victim to congressional gridlock (he must be confirmed by the Senate) over a lighting-rod political issue: guns. Sen. Rand Paul, R-Kentucky, blocked Murthy's nomination in February, arguing his non-clinical experience working with an offshoot of a pro-Obama campaign group made him overly political for the job. However, both Gostin and Leavitt agreed that a surgeon general would probably not be an effective leader in the fight against Ebola. "The U.S. Surgeon General's authority has been so watered down and neutered by successive White House officials that it is difficult to see how having one now would make a difference. At most he or she would have a bully pulpit but there is no authority currently in the office to coordinate and virtually no resources at the [surgeon general's] disposal," Gostin said. Should Ebola patients be sent to expert facilities? "Although the U.S. surgeon general's stature endures, the office's powers are long gone," Mike Stobbe points out in his book "Surgeon General's Warning: How Politics Crippled the Nation's Doctor." "Federal reorganizations in the 1960s stripped away most of the job's responsibilities and gave them to people appointed by whoever was in the White House at the time. The surgeon general became a bench-riding bureaucrat and glorified health educator." Leavitt echoed that while America's surgeon general has a "strong brand," the reality is that the office "with very little responsibility in the context of comprehensive emergency management." He noted that the surgeon general answers to the assistant secretary for health, who answers to the HHS secretary (accordingly, it was HHS Secretary Sylvia Burwell who briefed the president Sunday on the latest Ebola case). Leavitt explained that in the years of developing disaster and pandemic plans, government officials studied the best way to communicate with the public. "It's clear that people wanted to hear from knowledgeable scientists and doctors who understood the problem. The idea of having CDC involved has been part of that, a deliberate decision that was made for that reason," he said. "To inject the surgeon general into that process in my view would not serve a practical purpose," he added. One of the most common faces on television during the crisis has, in fact, been CDC Director Thomas Frieden, who addressed the latest Ebola case on CBS News "Face the Nation" Sunday. Acting surgeon general Boris Lushniak, by comparison, has remained in the background. Still, Regina Benjamin, the most recent surgeon general who left the position last summer, told the Washington Post recently there is a role for "the Nation's Doctor" to play. "There's a major role in any crisis, in any potential crisis, any potential event that people are concerned about," she said. "We need that level of trust and conversation that there is someone there in Washington as America's doctor."